As you know, CNC machines can be used for a variety of jobs. Woodworking is one of those jobs. CNC machines can cut wood with end mills and router bits effortlessly. 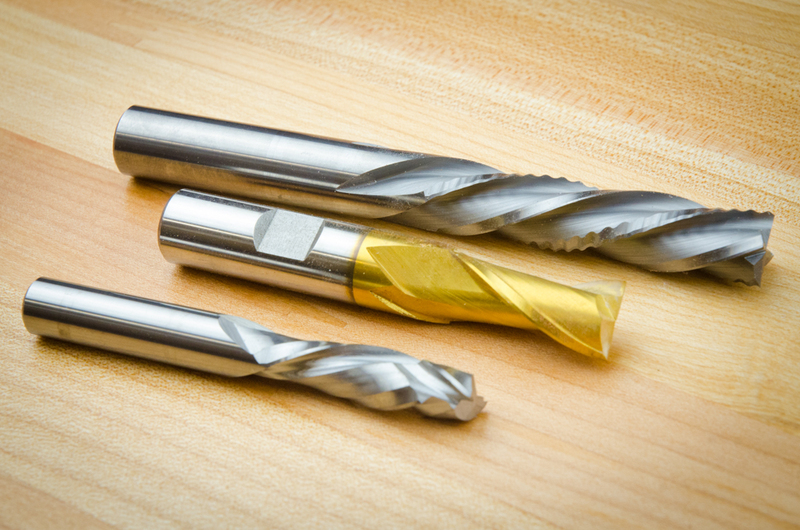 The article below describes how CNC mills and router bits are different in capabilities and how both can be used in woodworking. Read on to expand your knowledge! There are a lot of options when it comes to CNC end mills, and router bits that work for cutting wood on a CNC. Shown at the top is a high-performance end mill designed to cleanly cut wood at extremely high speeds. Below that is a conventionally designed, coated CNC end mill. At the bottom is a compression router bit designed to give you a clean cut at the top and bottom. Yes, the topic of CNC mills can be complicated. Because of the overwhelming minutiae of design detail and a bewildering number of choices, theres more than enough to intimidate any CNC user. But, it doesnt have to be that way. Fortunately, woodworkers have a fairly narrow focus: Cutting wood on a CNC. We have special considerations to consider but the good news is that by focusing on just on our needs, we dont have to get into every detail of CNC mill design. For that reason, this is a streamlined primer focused on just what a digital woodworker needs to know when choosing a cutting tool. Lets start by answering a few basic questions. Whats are the differences between a router bit & a CNC end mill? Theres a lot of confusion about these two terms. In general, its a difference of design and purpose. Most true CNC mills with high helix angles (a helix angle is the angle between any helix and an axial line) are designed for cutting metal inside coolant-flooded CNC milling machines (youd likely find those in an engineering or machine shop environment). But not all mills are used for machining metal. In fact, CNC mills are designed for cutting all kinds of specific materials in different working situations. You can find mills for cutting steel of various types, aluminum, brass, plastics, polycarbonates, carbon fiber, foam, plywood, composites and yes, soft and hard woods. Another difference is that CNC mills are sometimes longer than the bits youd typically use on a router. Its common to find mills that are 3, 4, 6 or more. Youd likely never use really long mills on a hand-held router, but on a CNC sometimes that extra length comes in handy for deep-cutting, tight clearance situations. That said, for rigidity, its always a good practice to use as short a mill as possible. Can you use CNC end mills to cut wood on a CNC? If the mills are carefully chosen the answer is yes. Ill get into more about mill selection later on, but I can tell you that the first thing to look for is the number of cutters, or flutes. When cutting wood, less is more. On the CNCs that youd typically find in a woodworking shop, two flutes are ideal. Router bits are obviously designed for the kind of routers that woodworkers use. Compared to an ordinary CNC mill, notice that the spiral cutting edges on a woodworking router bit are closer to vertical. Technically, their helix angles are shallower: 18°-30° compared to 30°-45° or more for an end mill designed for metal cutting. Also, notice that theres usually fewer cutting edges on router bits than on most CNC mills. Two is most common. There are good reasons for these features, of course. Less cutting edges allow router bits to remove a lot of wood quickly and to cut cleanly. Can you use router bits on a CNC? Yes. If the router bit is able to remove wood quickly in a high-load situation  remember, CNCs do their work much faster than mere humans with hand-held routers. Many spiral router bits will work fine for woodworking tasks on the kind of CNC machines that woodworkers use: CNC routers. In particular look for two-flute spiral carbide cutters. Theyre the standard for this task. I use them all the time and recommend them. P.S. Next up: Mill and bit design details that are good for woodworkers to know.